Advait Chandan directs Zaira Wasim, Meher Vij, Raj Arjun & Aamir Khan in Secret Superstar. The movie tells the story of Insia Mallik the 15 year old girl from Baroda who aspires to be the best singer in the world. 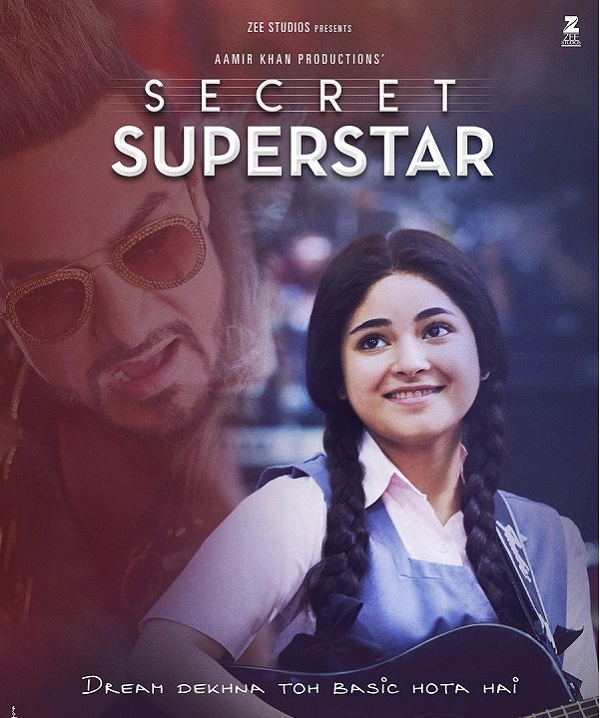 Zaira Wasim plays Insia Mallik the eponymous Secret Superstar. 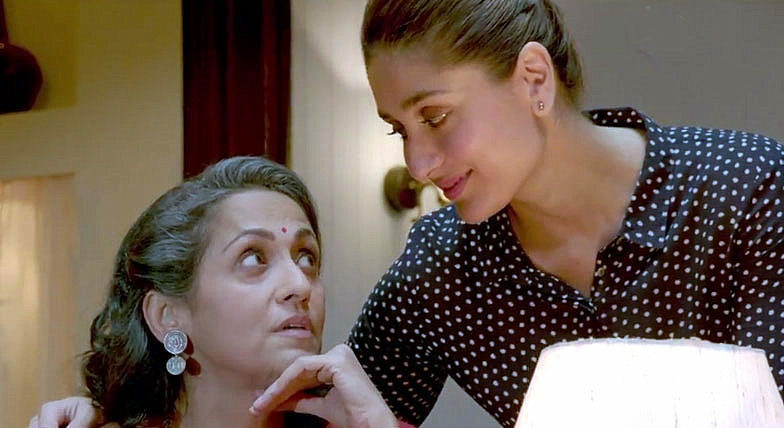 Buoyed by her mother Najma, played by Meher Vij, Insia tries to escape an overbearing and violent tempered father through her music. Meher Vij is spectacular in the light hearted scenes with Insia, she is especially brilliant when playing the long suffering wife of Farook. Raj Arjun as Farook Mallik is one of the vilest characters I can recall and Arjun plays it to perfection. There is no redeeming factors to him and Raj Arjun brings to life the character of a wife-beating, chauvinistic, evil pig. Props to him for not holding back. Najma is the one who bought Insia the guitar when she was six, Najma clobbers together money to buy Insia the laptop and internet connection and the reason she gives Insia really warms the cockles of my cold dead heart. There are many wonderful moments which lift the movie above the emotionally manipulative one. Several of those are also courtesy Insia’s puppy love Chintan Patel played by Tirth Sharma. Insia becomes an overnight youtube sensation when she uploads her first video dressed in a burqa. Insia’s brother Guddu played by Kabir Sheikh also adds a much needed innocence to the proceeding. Aamir Khan plays Shakti Kumar a disgraced Bollywood music director who has been boycotted by all the established singers. Aamir pushes the ham envelope with such abandon that the comparisons to Andaz Apna Apna are for once justified. Mr Perfectionist who has such a huge influence into every aspect of the movie making however is also its downfall in the most unfortunate of ways. In an effort at justifying more screen time for someone of Khan’s repute he gives away the biggest aha moment when he interprets his sleazy song as a romantic one as it was intended to be for Insia and then when she sings it just as she was instructed he lights up. It’s a moment that could have been such a departure for the sleazebag Shakti Kumar but it is squandered away by either incompetent writing or poor direction in trying to massage a superstar ego. The tangent about how his life and that of Insia have parallels is left unexplained. The whole shindig about his wife’s lawyer helping Insia is also unresolved. 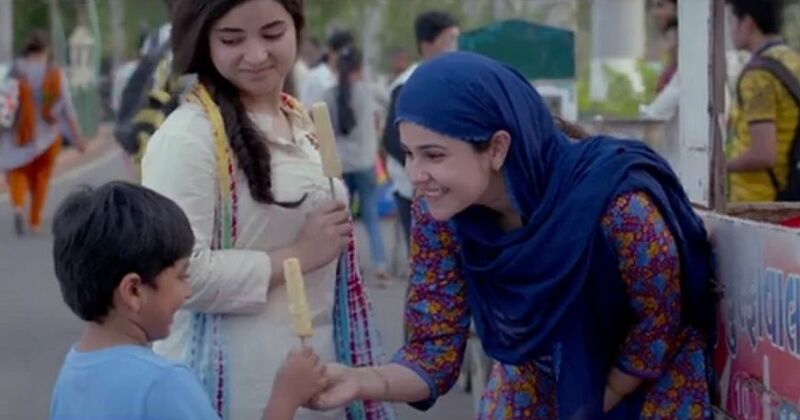 Zaira Wasim who first burst onto screens with Khan’s Dangal is worthy of the praise she is garnering. She is a competent child actor. But there are range problems for me. There is almost a constant woe-is-me feel about her – there is no levity to her. There is a child-like wonder that is missing. Perhaps it is not her fault and it is the writing which stymies her into a one-dimensional character. The climax seems too obvious – the only thing missing was Shakti Kumar storming the stage ala Kanye West. There are many moments that feel like emotional manipulation and some dialogues feel too basic. The constant one character repeating what the other has said in the past also begins to grate and feel disingenuous. 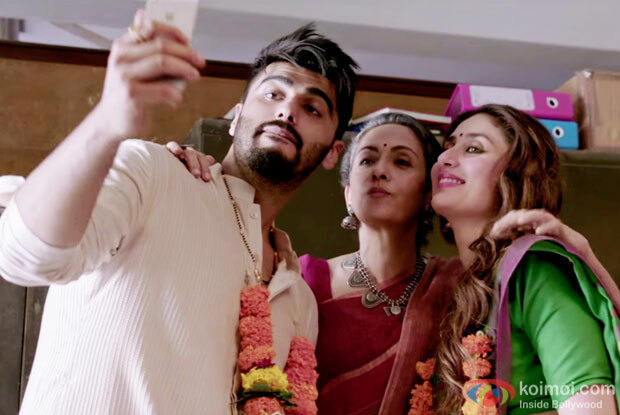 In spite of these short comings the movie is entertaining for most parts and Raj Arjun really livens it up for me. Not a bad 2.5 hours spent at the theatre.